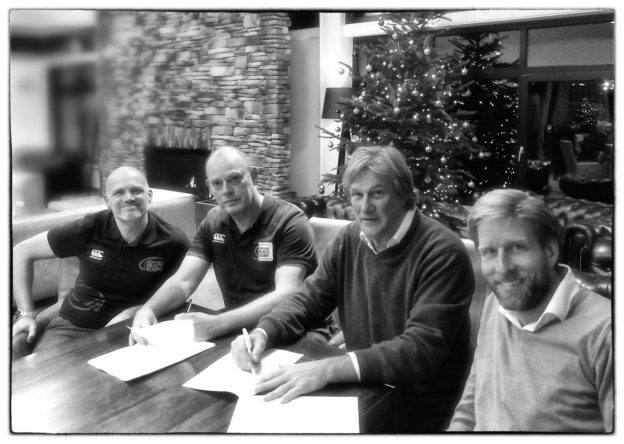 The agreement for the organization of the Dutch National Championship Beach Rugby is an extra motivation for North Sea Beach Rugby to further develop and promote the sport Beach 5s Rugby in the Netherlands. Beach 5s Rugby is the official form of Beach Rugby according to the rules of World Rugby. Last year North Sea Beach Rugby already organized the first championship. After an evaluation and some very good talks with Rugby Netherlands it was decided to continue this for the next 3 years. North Sea Beach Rugby is very proud and grateful to Rugby Netherlands for this opportunity. As an organization North Sea Beach Rugby would like to thank not only Rugby Nederland (Dutch Rugby Union) but also the city of The Hague (Topsport – an organization that supports top athletes and sport events) and the EBRA (European Beach Rugby Association) for their advice and support. But North Sea Beach Rugby also realize that this would not have been possible without our sponsors. And of course the enormous commitment of all volunteers, referees and the trust of all participating teams. North Sea Beach Rugby also hopes that this agreement will send a strong signal that Beach 5s Rugby is a serious and professional sport and that the EBRA is the official umbrella organisation. An organization that for both The Hague and Rugby Netherlands is seen as the point of contact for Beach 5s Rugby in Europe and beyond. Partly due to our membership of the European Beach Rugby Association it was possible to bring Beach 5s Rugby to the Netherlands. The Dutch National Championship is for Dutch male, female and youth teams U14, U16 and U18. In 2019 the tournament will be played on 15 and 16 June in the Netherlands at The Hague Beach Stadium. The winner will have access to the European finals. This in accordance with the EBRA rules. This entry was posted in News and tagged beach rugby, Dutch Union, EBRA Series, North Sea Beach Rugby on December 13, 2018 by EBRA Admin.